To all the moms of young children (likely reading this blog post while sitting on the toilet trying to enjoy a five-minute mommy break) – we dedicate this post to you. This has to be said. And if you agree, help us spread the word….Moms like to poop in private too! Give us a virtual head nod if your kiddie is the type who likes to find a quiet place to crouch down to poop. For these kids, their preferred pooping place is usually not the bathroom, sometimes it’s a closet, sometimes behind a curtain, in a corner, behind the sofa, or under the table. Let us set the scene. We notice it is eerily quiet. We go searching for our toddler, we see him in the corner, in the poop squat position, with a strained expression. “Are you ok? Are you pooping?” And, what happens? They wave us away. They want to be left alone. They want to poop in private. But, this is the same kid that flings the door to the bathroom open while we’re sitting on the toilet. In our preferred pooping place. Does this sound familiar? Sound familiar? Is it too much to ask to poop in private? What do they think will happen to us in there? We’ll sit forever? Climb out the window and run away? Or, get flushed down the toilet? Maybe kids really don’t get that moms actually want to poop in private? It’s certainly plausible, consider these situations. Sometimes we’re in the bathroom. Just hiding. Catching our breath. Splashing some cold water on our face. And, the minions catch us in there – not going pee or poop. In fact, it looks like we’re doing absolutely nothing. Or, what about this. We’re in the bathroom. The door is shut. We hear, “stop”, “give it to me”, “it’s mine” and what do we do? We yell through the bathroom door, “What’s going on out there? What? I can’t hear you? David, come here right now.” David comes in, debriefs you on the situation, you give instructions. Situation diffused. All from the seat of the toilet. Or. We’re in the bathroom. The door is shut. Your kid barges in. “Mom, I can’t pull apart these Lego pieces.” What do we do? We pull the Lego pieces apart. Why? Because it’s quicker to do that and send them on their way then explain that we’d be happy to do it after we finished on the toilet. Whether it’s poking a straw into a juice box, helping with homework, opening a fruit snack, let’s be honest we’ve all handled our mommy duties while sitting on the toilet. It comes with the job. What mommy business are you handling from the seat of your toilet? Are you ready to confess? Tell us in the comments below. Too shy to confess? Well then, just text your bestie a link to this article. Tell her to read it the next time she’s in the bathroom hiding from her kids. 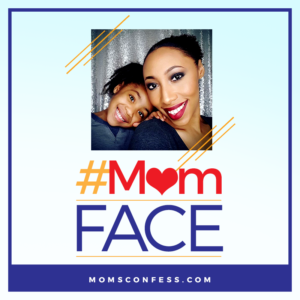 Love mommy confessions? Make sure you check out our fun game of conversation starters.